I didn’t realize that Marcel would become quite so popular when I posted this picture of him as a lamb! One of my favourite things about keeping sheep is watching them grow and change. Each sheep has its own distinctive features- like an arched nose, a wide forehead, or perky ears, that are often passed from one generation to the next. 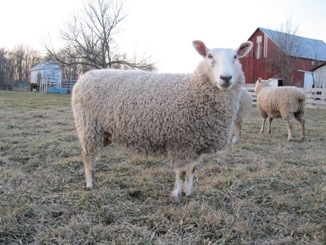 I started my flock of Border Leicesters about four years ago with five pregnant ewes. When I look over my flock of twenty-five now, I still see the familiar characteristics of the original matriarchs repeated over and over again. 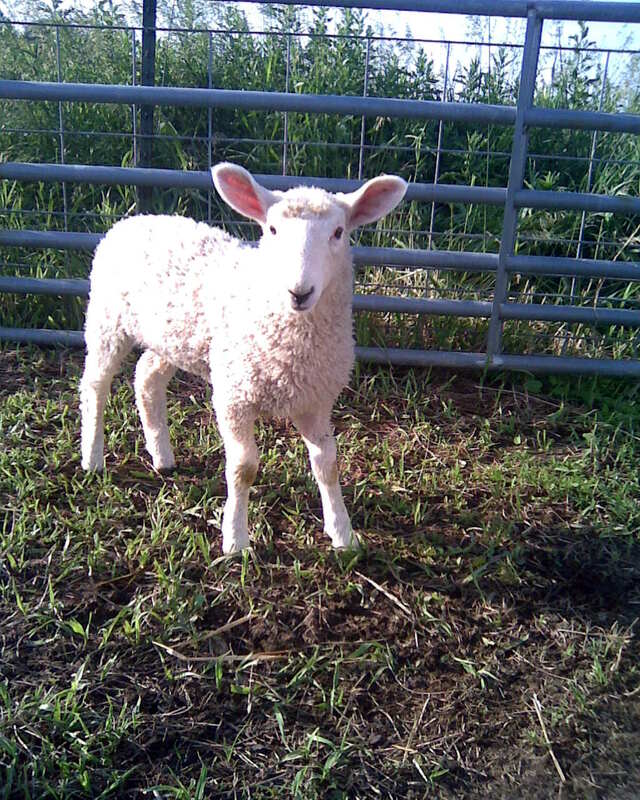 Nora was one of my first lambs. She was a very shy little lamb. In this picture she is about a week old. Here she is a few weeks ago, now five years old. She is still very shy, but did grow into her ears!